In the first flood in Bohag month (April-May), a part of Majuli island was submerged in flood waters. 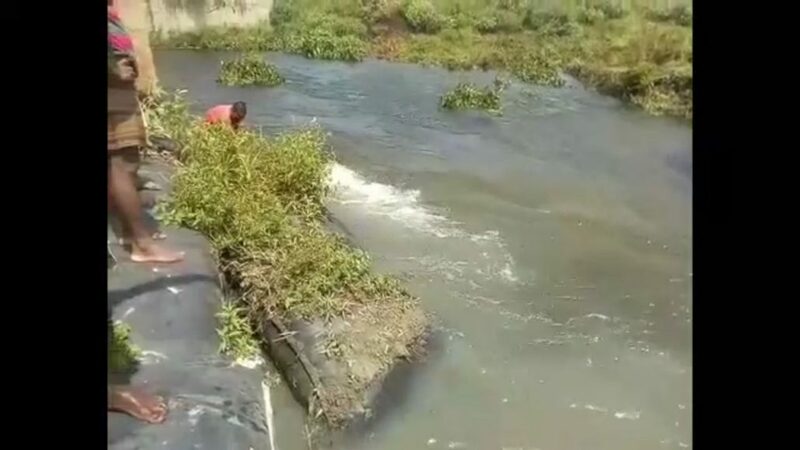 Due to increase in the level of river waters since last Sunday, the sluice gate in the embankment in the Kakorikata-Goalgaon-Bokora area in Majuli has faced threat. The people of the area are worried as the Geo bags on the embankment have been washed away by the waters of the first flood of the season. The flood waters due to overnight increase in the water level of the river Brahmaputra, have disconnected the Kamalabari-Bhakat Chapori connecting Road. 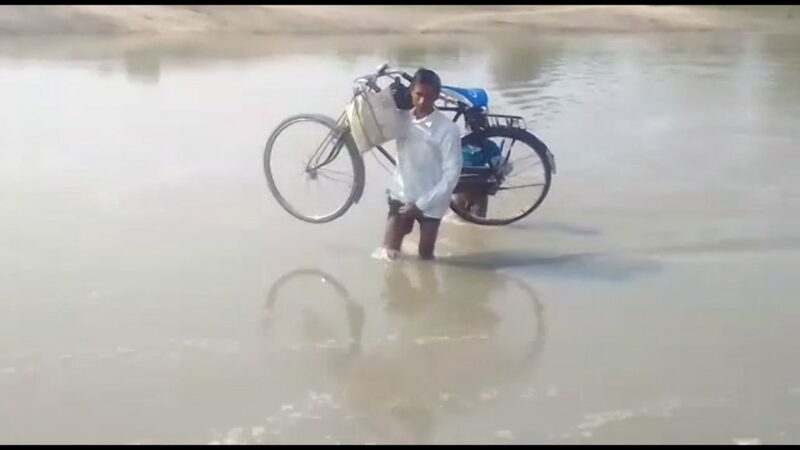 The people of the area have faced major problem of communication as the road connecting 17 villages of the area has been submerged by flood waters. Though a bridge was constructed in this area last year that bridge was also washed away by flood waters last year itself due to which the people of the area in massive trouble.